This part (53), Mr. Sophan Seng continued to describe the unalienable rights to vote of Cambodians overseas. Furthering to introduction of the CEROC part 52, Cambodians overseas have played important roles in nation-building of Cambodia following renaissance of political, social and economical changes. 1. Politics: as the matter of fact, Cambodian diaspora had actively engaged in national liberation during the foreign occupation between 1979-1990 along Thai-Cambodia border, and they were significantly helped to push for the establishment of Paris Peace Agreement (PPA). 2. Socially innovating: Cambodian diaspora has built hundred and thousand Buddhist temples to stock their culture and belief. Buddhist temples are central of identity, languages, spiritual needs, and volunteerism. 3. Economically contributing: Both Cambodian migrant workers and Cambodian diaporic members have annually contributed to economic growth and GDP not less than 500 millions dollar usd each year. But recent finding broadcasted by VOA Khmer indicated that just Cambodian migrant workers in Thailand alone has sent remittance back home not less than 1 billion usd each year. The above significant engagement and contribution, including, the guarantee of Cambodia constitution as well as the Universal Declaration on Human Rights of the United Nations, Cambodians overseas and the overseas absentee voting choice for those people, must not be deprived. I’m a Canadian living abroad. How do I vote? 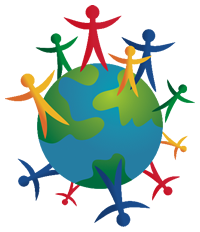 If we accept your application, we will add your name to the International Register of Electors and send you a special ballot voting kit. If you are not eligible to vote by mail, you can vote in person at an advance poll or on election day – learn more. Who is exempt from the five-year limit on voting by Canadians living abroad? How can I prove I am exempt from the five-year limit? If you are exempt from the five-year limit based on where you or someone you live with is employed (see list above), you must provide proof of employment for yourself or for that elector. I live abroad and I am voting by special ballot. What is my Canadian address for voting purposes? If you are voting by mail-in special ballot, your Canadian address for voting purposes is the address in Canada where your vote will count. You will vote for a candidate in the riding that contains this address. 1. Collecting all suggestions, petitions, and participation of the Khmers overseas in order to campaign for inclusive participate in Cambodia elections. 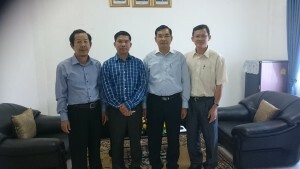 This participation shall enrich the Cambodia political leadership and participatory democracy of this nation. 2. Focusing on researches and publications of some technical, mechanism and procedural practices from many countries who have included their citizens abroad to vote at their home-country elections. 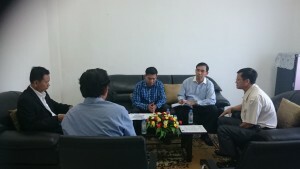 By incorporating with many stakeholders, the CEROC is being recognized by Khmers diaspora, migrant workers, students, and government officials working abroad, widely. 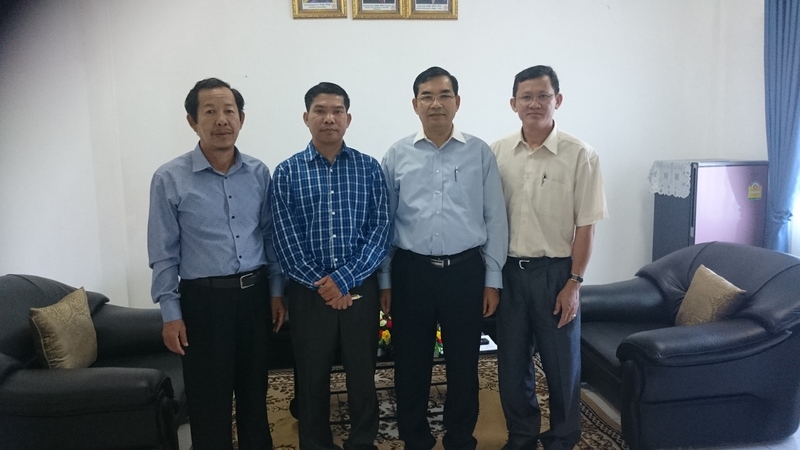 On February 19, 2016, Mr. Sophan Seng, leader of the CEROC, was honored to meeting H.E.Kuoy Bunroeun, Deputy of NEC at the head office to discuss the right to vote of Cambodians overseas. Mr. Sophan Seng highly valued the new NEC that is better and more independent than before including the high expectation of its performance for this upcoming commune election 2017 and national election 2018. Precisely, he addressed the need to allow and facilitate access for Cambodians overseas to vote in Cambodia elections (inclusiveness). 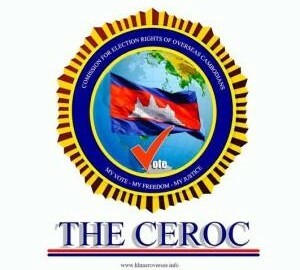 The CEROC’s objectives are: – to organize suggestions, petitions, and participation of all Cambodians overseas, and – to produce paper work on mechanism, technical and comparative studies through researches and academic gatherings. Solution: H.E. Kuoy Bunroeun welcomed the tasks of research and recommended to submit petition through a right channel. NEC is implementing in accordance to the existing laws solely. 2. In the future, the NEC shall prepare high ranking officer(s) to visit Khmers diaspora to interact with them about the progress of the NEC. Election laws: new voter registration using fingerprint, photos and computer database etc.